For those living in poverty, it can be difficult to remain intellectually stimulated, to be constantly active within social circles, and to maintain strong mental health. Often we do not take the time to consider how valuable these three components are within our lives. On the evening of Leap Day 2016, February 29th, over fifty young professionals congregated at Midtown Toronto’s newest gaming café, For the Win, for a night of board games and conversation. The event was orchestrated through UJA Young Leaders Madrichim in Training (MIT) Program to raise awareness and change perspectives on poverty, as well as demonstrate how our greater Jewish community can provide a collaborative effort to minimize the effects of poverty today and in the future. The program was developed by a team of MITs and brilliant Young Leaders, Alexandra Pearl, Danielle Rovinski, Jeremy Starr, Justin Kreiger, and Ryan Riback, with the support of mentors Anna Frankel and Jade Zylberberg, program chair Ashley Kochman, and UJA’s Jessica Taylor and Sam Walman. The event also featured esteemed guest speakers Sandi Pelly, Director for Community Capacity Building for social services at UJA Federation of Greater Toronto, and Fran Chodak from Jewish Family & Child Services. 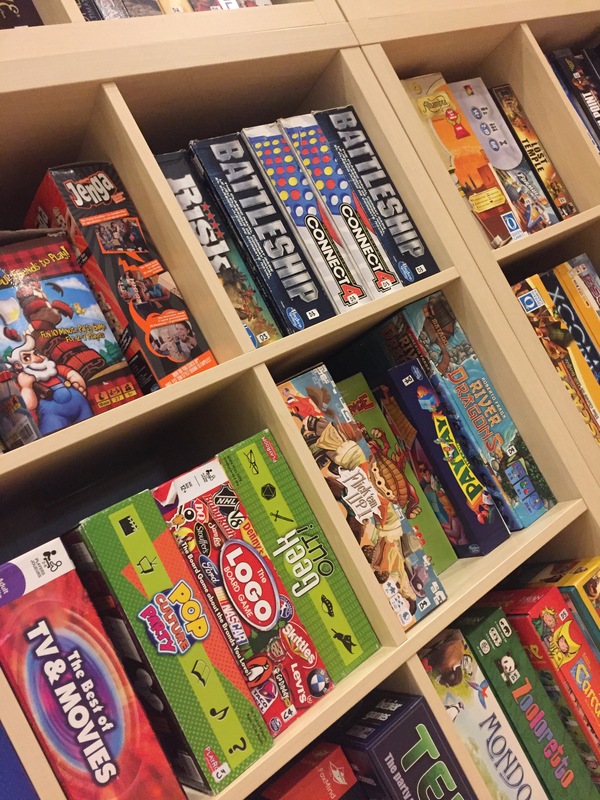 The venue’s vast board game collection was put to work as attendees immediately began enjoying ultra-rare and classic board games before focus shifted to the cause that brought everybody together. I chose to play the simple duo of Connect 4 and Battleship and, sadly yet fittingly, split between wins and losses. We were gathered this night for a greater goal. As we go through our lives, whether we are in school, at work, or travelling, it is easy to forget that there are many people within our community that are less fortunate than us. It is important that we educate ourselves and become aware of the struggles that people within our communities are dealing with every day. According to a 2014 National Household Survey, upwards of 24,000 Jews in the GTA live below the poverty line, which translates to 14.6 per cent of Canada’s Jews. Among the 34,000 Jewish youth (under 14 years of age) in the GTA, more than 3,500 of them live below the poverty line. The event helped clarify misconceptions, like the idea that those in poverty are uneducated or lazy; rather, poverty is often a consequence of difficult circumstances due to health issues, dysfunction in the household, or a difficult family upbringing. This successful evening left us with a clear message: the Jewish community does quite a strong job in developing social service agencies for its own ethnic and religious communities, likely better than many others. However, a great deal of need remains to be addressed. The young adults who took part in "The Game of Life" walked away with a greater understanding of the needs in our community and were encouraged to find their own way to take part in "tikun olam," repairing the world. Personally, the event encouraged me to reach out to JF&CS to begin the process of fulfilling a personal goal in becoming a Big Brother. A mitzvah like no other, the Jewish Big Brother/Sister Program empowers its volunteers to positively shape a child’s future by providing support, companionship and friendship. If I can improve the life of even just one of those 3,500 children, the event would have served its purpose.